Stephanie Adams created the YogaFit Kids program when her now college-age daughter, Chloe, was in kindergarten. Her YF Kids Teacher Training program has trained both educators, parents, grandparents, and yoga instructors how to play yoga with kids of all ages. This yoga program develops the natural kinesthetic and emotional intelligence inherent within all of us. This would be a good piece to share with older children and teens about the power of creativity and what creativity is. Its $20 to play/share, 25 minutes long, and all proceeds for playing it go to an awesome arts program for at-risk kids in Arizona. 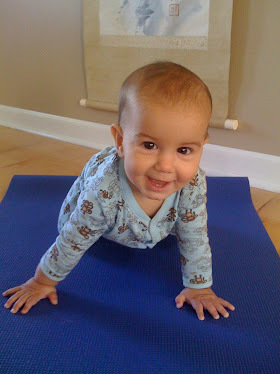 Interested in Training to Teach Yoga to Kids?